Government College for Women, Sampla (Rohtak) Haryana, India. The relevance of international organizations such as WTO, IMF and UN is very significant for economic development of nation. The international trade is very common nowadays due to the development of an economy. The international trade is generally associated with the relationships among the nations. The international organizations bring closer the various economies through its international presence and scope. Thus, various problems regarding monetary issues, exchange problems, poverty and reducing disharmony are solved by the international organizations. The international trade is expanded with the involvement of nations that has made possible by the contributions of international organizations. In present scenario, these plays vital role in spreading harmony among the various nations of the world. The present study is an attempt to explain the role of WTO, IMF and World Bank and study the concepts of international organizations. Keywords: Economic Growth, WTO, IMF, World Bank. INTRODUCTION: Any organization which acquires international membership and presence is known as International organization.International organizations can be governmental or non-governmental.These mainly use the terms like union, association and agency etc. These are formed through making the agreements by government. The international organizations such as United Nations (UN), the World Trade Organization (WTO), and International Monetary Fund (IMF) are the famous organizations. These play significant role in determining the international agendaand creating place for better initiatives to develop a region or a country. International nongovernmental organizations consists non-profit organizations which operate at international level. International committee for red cross is the best example for these kinds of organizations. Inter-governmental organizations are the international organizations which are formed as member states. These are as United Nations (UN), the World Trade Organization (WTO), and International Monetary Fund (IMF) etc. The present paper intends to explain the concepts of international organizations mainly for World Trade Organization (WTO), and International Monetary Fund (IMF). The contribution made by these organizations has been highlighted in the present study. Connell and Brue (2008)WTO membership have positive impact on the China`s Institutions and China`s position in world economic community is openly recognized. Qualitative approach is used to find conclusions of the study. Ali Khan (2009) in his article “trade before and after WTO” concluded that GDP of South Asian Countries was higher than before after WTO. Even the rate of development tin import of south Asian countries is more than the rate of augment in export after WTO. Rena (2010) noticed decrease in India’s GDP growth rate sustained even after opening of WTO agreement in 1995. The decrease in India’s GDP throughout the post WTO regime may be credited due to various limits required by a diversification of countries on Indian exports. Pandey (2011) showed that India’s GDP, its method have decreased in term of per annum rise after the economic reform of 1991; once again it had declined after 1995 when WTO actions were introduced. GDP in terms per annum growth had reduced during the period 1991-92 to 1994-95. Kaur and Bhau (2012) The author uses historical approach to study the effects of WTO membership on economic, political and legal institutions of China. The main effects were studied on the growth of GDP, formal legal institutions and legal behaviour of the Chinese people. Tomar (2014) This study reflects light on how the developing countries generates interest in relatively broad-based agenda after the reforms of WTO in mid-1980`s and failure of Third Ministerial Session of WTO in Seattle. Singh (2015) noticed assuring development revenue from the international trading system and trade negotiations. This showed that positive effect of WTO on a many macro-economic indicators such as GDP, per Capital Income, Consumer Price Index, etc. · To study the concepts of international organizations. · To explore the role of WTO and IMF. The present study is based on descriptive research. This is the conceptual paper based on theoretical aspects. Secondary sources have been used such as online publications, journals, Books and websites etc. International trade, before 1995 was regulated by General agreements on tariffs and trade which was established around the Second World War. After the Second World War, world have seen an exceptional growth in world trade systems. The total trade in the year 2000 was around 22 times the level of trade in the year of 1950. In the international trading system’s some rules are followed by the member countries which facilitate their trading and regulate the trading flow. In the year 1995, World Trade Organization came into being. World Trade Organization is one of the youngest international organizations. The system was developed through a series of trade negotiations and rounds which were held under GATT. GATT and WTO together helped to create a strong and prosperous trading system across the world which is contributing to unprecedented growth. In the year 2000, new talks started on sectors like services and agriculture. Currently the WTO is incorporating broader areas like non-agriculture tariffs, environment and trading, introducing new rules such as anti-dumping and subsidies and different issues raised by developing countries as they face in implementing the present WTO agreements. As explained in the WTO agreement in the five core functions of the WTO, contributing to achieving sound global economic policy-making is one of them. Its ability to do so depends on it carrying of its other functions successfully – providing a forum for liberalization, ensuring strict observance of its multilateral rules and disciplines, and contributing to policy surveillance. Apart from the direct commercial benefits which are provided to the WTO members, smooth functioning tools like rule based open trading system, trade policies etc. Now the primary question is that how can you ensure that trade is as fair as possible and as the years is practical? In the WTO rules- agreement are outcome of different negotiations among the WTO members. Through these rules and agreements, in non-discriminatory trading system is developed among WTO members and that regulate their rights and their obligations. Each member receives proper guarantee that that country’s exports will be treated fairly and consistently in all the member countries market along with that each have promised to do the same for imports into its own market. The more a 160 members are which are accounting for almost 95% of world trade. In the WTO entire membership are responsible for the decisions by consensus-based but vote is also possible but it has never been used in WTO decision-making, and is extremely rare. In every two years the WTO’s top level decision-making body which is the ministerial conference has to conduct at least one meeting in every two years’ gap. Different working groups, working parties and numerous specialized committees deal with the individual agreements and other areas like development, membership applications, environment and regional trade agreements. With the 640 staff, the WTO Secretariat in Geneva is headed by its director general. Since all the decision making is controlled by the members themselves, the secretariat do not participate in the decision-making role that other international bureaucracies are given. International monetary fund has been formed in 1947 with the goal of fostering the growth of trade and helping the payment system for monetary transaction.International Monetary Fundhas been considered as an international organization. The headquarterof IMF has been setup in Washington D.C. The IMF has been created to promote the stability in exchange issues and monetary aspects over the globe. The main aim for creating the IMF was to standardize the financial relations and issues of exchange rate internationally. The main objective of IMF is to control the economy of globe. IMF has strengthened its member nations economically. The total 29 countries have signed the Articles of Agreement and 188 countries have taken the membership of IMF. Moreover, the whole world is associated with the IMF. India has become the members of the Fund. · To foster the cooperation in transaction of international monetary system. · To increase the growth of international trade. · To facilitate the stability in exchange. 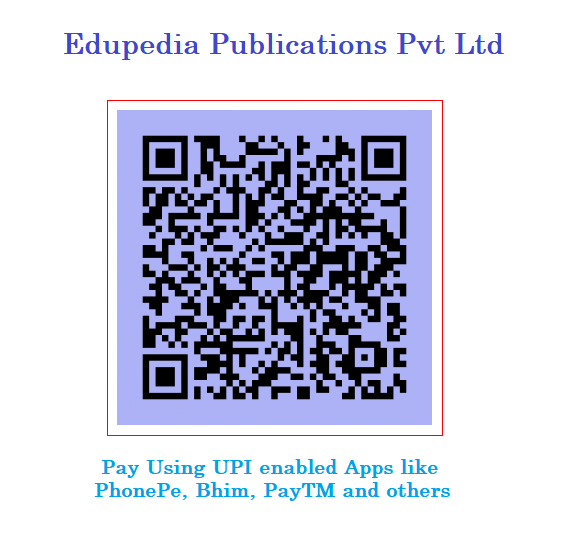 · To help in the setup of system of payments. · To provide various resources to member nations. · To decrease the duration of balances of payments. · To increase the stability in member countries. · To build the proper arrangement for services and good among the nations. · To focus on facilities for credit for short term. · To generate the balance of payment positive for member nations. · To foster the foreign trade. · To increase the monetary corporation. 2. Sustainable development in the poor countries. Offering the low-interest loans to countries. CONCLUSION: The present study has attempted to explore the role of international organizations. The study concluded that these organizations have fostered the cooperation in monetary system. These have provided the financial stability and guaranteed overall development of nations. The growth of international trade has been facilitated by these organizations.The organizations like IMF and World Bank have given concessional loans to poor nations for reducing the poverty and increase the living standard. The restrictions on trade with other nations have been abolished by the WTO. Moreover, these organizations are trying to reach the level of sustainable growth and make the world free from poverty and hunger. § Ali Khan, R. (2009). WTO Agreements and Dimensions of India’s Foreign Trade. International Journal of Current Research, 26. § Connel, D., & Brue. (2008). Exchange Rate, Foreign Income and GDP. Agriculture and Resource Economic Review, 37/2, 160-175. § Mashayekhi, M. (2012). Agriculture and the New Trade Agenda in the WTO 2000 Negotiations: Economic Issues and policy options for Pakistan. The Asia Workshop on Agriculture and the New Trades Agenda in the WTO 2000 Negotiations. § Pandey, A.K. (2011). Globalization and WTO: Impact on India’s Economic Growth and GDP” CFAI Business School Online at http:// mpra.ub.uni-muenchen. De / 16104/ MPRA Paper No.16104, posted 8 July 2009 02:34 UTC, Munich Personal RePEc Archive. § Rena (2010). WTO Agreements and Dimensions of India’s Foreign Trade: Food Security, Water and Environment. International Journal of Current Research, 26. § Singh P. (2015). Analysis of Trade with WTO: A case study of India. Global Journal of Finance and Management, 9(8), 506-509. § Tomar, D. (2014) Selected Macro-economic Variable and its Impact on Indian Export. Journal of Business and Management, 16, (3).